Facial rejuvenation from Dr. Comeau includes Wrinkle Treatments, Skin Resurfacing, Lip & Cheek Augmentation, Facial Lifting, Double Chin Reduction and more. From CoolSculpting and ThermiVa Feminine Rejuvenation to Laser Hair Removal, Dr. Comeau can help you achieve the body you want. To compliment Dr. Comeau’s face and body rejuvenation treatments, we offer skin care products, Ideal Protein Diet food, Latisse Eyelash Enhancement and more. Dr. Comeau’s unique combination of passions and experiences make her an aesthetic physician like no other. As an Assistant Professor at the University of Maryland School of Medicine, Dr. Comeau has helped shape the careers of hundreds of future physicians. As an experienced doctor of pediatric emergency medicine, Dr. Comeau has exhibited a caring bedside manner that is highly regarded by her patients. As a former ballet dancer where she developed a passion for graceful movement and the lines of beauty, Dr. Comeau has a well-trained eye for aesthetics. Patients who meet Dr. Comeau are immediately put at ease. Her caring nature, coupled with her extensive experience in aesthetic medicine means your experience will be a positive one. In addition to being kind and personable, Dr. Comeau is extremely knowledgeable. She takes time to attend the highest levels of training in the procedures that she administers in her practice. A great deal of scrutiny goes into choosing which procedures she offers – she brings her patients only those treatments that she feels will produce the best results. By now, you have probably heard about CoolSculpting – the non-invasive, permanent way to reduce stubborn fat. 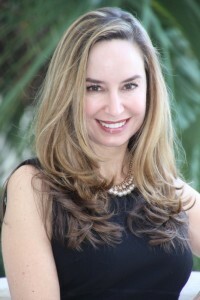 Dr. Beth Comeau is pleased to offer CoolSculpting in her practice. More than 7,000,000 CoolSculpting treatments have been performed across the globe. Like so many others, Dr. Beth Comeaus’ patients are pleased with their CoolSculpting results. CoolSculpting is a safe and effective treatment for belly fat, love handles, double chin, inner thighs, outer thighs and even upper arms. Visit Dr. Beth Comeau to learn more about CoolSculpting. She and her staff will explain the treatments, and evaluate your fat reduction goals. Dr. Comeau is fabulous for everything from removing spots with lasers to all sorts of med spa items with the most advanced equipment. She has comfortable office, is a real people person and all the staff have great personalities. Wonderful – experienced, super nice and not pushy Dr. I have had outstanding results and have never felt pressured to undergo unnecessary procedures. The office is beautiful and the staff is very nice.